Ryan has been a dedicated teacher. An award-winning principal. A pioneering district leader. Now he wants to represent Ward 4 on DC's State Board of Education. Vote for Ryan Tauriainen in the SPECIAL Election, December 4th, 2018. As a teacher, Ryan received results that exceeded all other classes in the state. 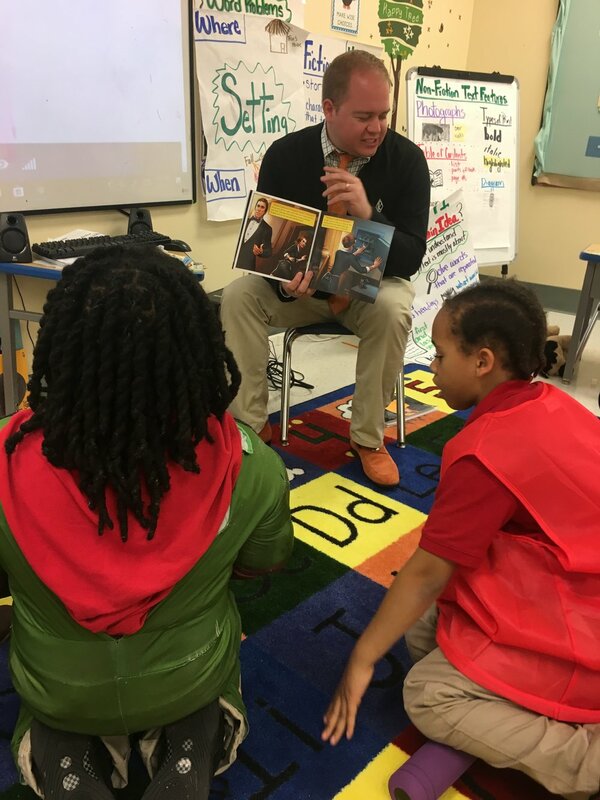 As a principal, Ryan's school grew to proficiency levels over 90% in literacy and math. As a district leader, Ryan has won five national awards for his innovations in Early Childhood Education and curriculum. He has taught or led in every quadrant and almost every ward of DC. He loves our children, and there is no one more ready to join the school board than him. Vote on December 4th! The DC State Board of Education is responsible for advising the State Superintendent on a number of issues including state standards, school accountability, and graduation requirements. Electing members to the board who have experience leading classrooms and school buildings is critical for DC's success. Vote on December 4th! The resignation of Dr. Woodruff, an early childhood education expert, has left a critical hole in the board's base of knowledge. Having a person who understands early childhood standards on the board is necessary, and Ryan is among the most celebrated leaders of early childhood education in the United States. In many of our specialized schools, bilingual schools, and early childhood classrooms — out-of-state families are committing residency fraud and misspending DC tax dollars. We must hold the line and protect these school seats for DC students. The requirements for graduation, especially attendance requirements, have been at the forefront of the news in DC. While some talk of loosening requirements, Ryan firmly believes in holding the highest expectations for all students. A diploma in Washington has to be worth something. Ryan grew up with a younger brother with intellectual disabilities; caring for his brother helped inspire him to serve children through education. Special education is a passion for Ryan, and he has accolades for his service to children with special needs. "A preschool principal working with children who are not yet even expected to know how to read might seem like an unusual choice for the honor. But preschool, and the idea that achievement gaps can be closed before they start, is key to reform efforts nationwide." Are you ready to be a hero for children and to elect a man who has dedicated his career to being their champion? Please, find a way to be involved with our campaign. The special election is on December 4th. Join us in letting the people of Ward 4 know what Ryan will do for the kids of Washington, DC. Make a commitment to voting for Ryan on December 4th in the special election. Show your support: like on Facebook! No campaign can be successful without the support and small donations of regular people. Help raise funds with us, today.